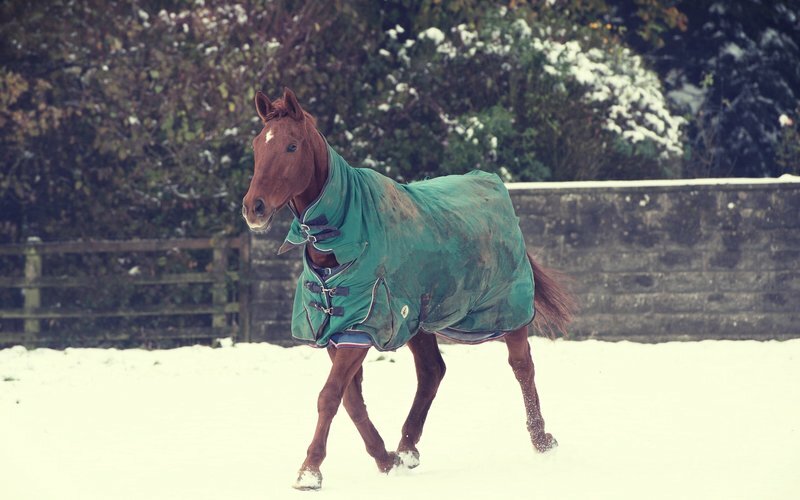 The off-season is the best time to give your horse an all-over health check - an 'MOT'. Here are some basic areas to take a look at to make sure your four-legged friend is fit and ready for the next season. Book a bitting expert and look into alternative bridles, noseband and martingale configurations, and spend time testing them in as like-for-like situations as when you'd like to use them next season. Also ensure your horse's teeth are in good order. Check registration, vaccination and insurance dates and put reminders in your 2018 diary. Check the stitching and leather work of both your everyday and competition equipment. Has your tack passed its use-by date? Pay particular attention to girths, breastplates and stirrup leathers, especially if your equipment is used on multiple horses. Does your horse need to detox, or adjust to an off-season diet? If your horse has an adjustment to its stabling regime, does its diet need to change accordingly? Seek advice from equine nutritionists and also be mindful of your equine worming programme. Are you also aware of your own dietary requirements? It's time to ditch the competition season staples of Haribo and Diet Coke and try instant porridge or soups to keep you well nourished and warm through the winter, and kick start a diet that's less dependent on sugar. Book in for bespoke dressage or show jumping training. See www.britisheventing.com/training for courses both in and out of the saddle in your area, and give you and your horse a lift if you're suffering from withdrawal symptoms. Could your horse's hooves benefit from being unshod for the period it’s on holiday? For your own biomechanics, are you adequately shod or are endless welly-wearing days going to make you weary? Be mindful that as you let the body down from peak fitness, human and equine niggles may now come to the surface and need attention from a therapist. The dark evenings or rainy days are ideal to spend time massaging and doing in-stable stretches with your horse to help you know him better and improve his core strength (check out our core exercises for horses post here). Is it also time for you to partake in some cross-training? Use the dark evenings to head to pilates, yoga or aerobic classes, or dream on and book yourself a beach holiday and enjoyplenty of swimming while you are there! Evaluate each horse’s year and take time to plan your fitness and competition plan, with build-up and let-down periods throughout the year to help pace your performances and avoid over-pressurising either of you. Then watch for the provisional British Eventing calendar to appear online in mid-November and the countdown to March begins! Now your horse has been checked over, find out how to improve your fitness as a rider here.